To provide the highest level of endodontic care for our patients. Your comfort is our number one priority. We make no compromises in our commitment to quality care and to excellence in endodontic treatment. We will make every effort to ensure that you will have a positive experience. Endodontists are dentists who specialize in saving teeth through different procedures which involve the pulp (nerve) and root of teeth. Endodontist comes from the Greek “endo” meaning inside and the word “odont” meaning tooth. All dentists are trained to treat and diagnose diseases of the pulp (nerve), however, some teeth can be especially difficult to diagnose and treat. This is why some patients are referred to the endodontist. An endodontist, as defined by the American Board of Endodontists, is a dental specialist in the treatment of diseases and injuries to the dental pulp, root and surrounding tissues of the teeth. Endodontists receive a “certificate in Endodontics” after an additional 2-3 years of training in an accredited endodontic program after dental school. In addition, Dr. Aminlari is a Diplomate of the American Board of Endodontics (board certified endodontist). 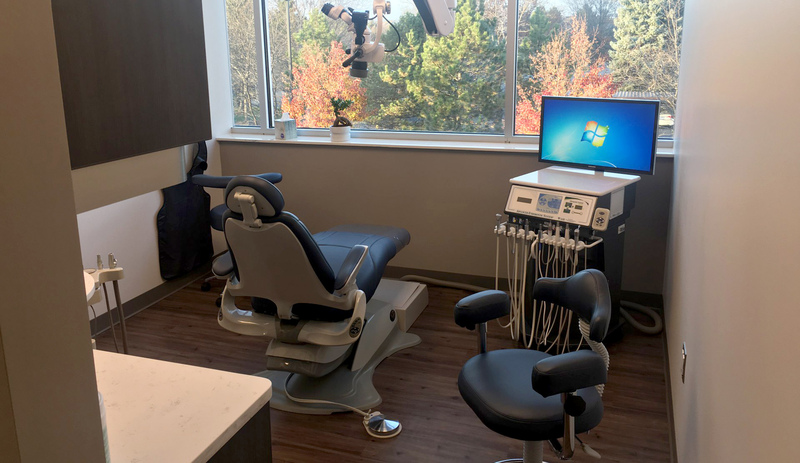 This means, he has gone beyond the endodontic specialty education and licensing requirements of the American Dental Association and the Michigan State Board of Dentistry. He has taken an examination administered by a panel of experts and has demonstrated an exemplary level of knowledge, understanding and clinical expertise in endodontics.